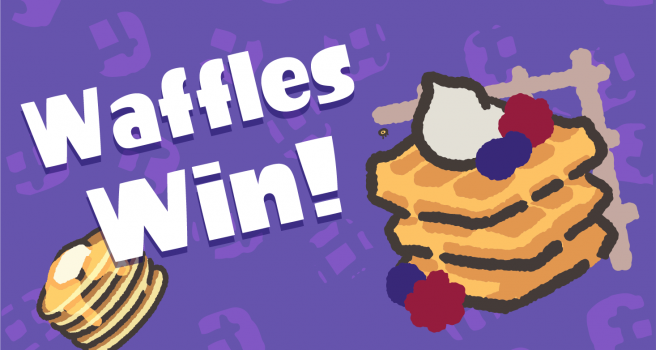 Team Waffles served up a sticky win and takes the breakfast themed Splatfest win 3-0! Team Waffles won the votes 51.31% – 48.69%, won the Normal rules 51.34% – 48.66%, and the Pro rules won 51.41% – 48.59%. Don’t forget to pickup your Super Sea Snails in Inkopolis Square.